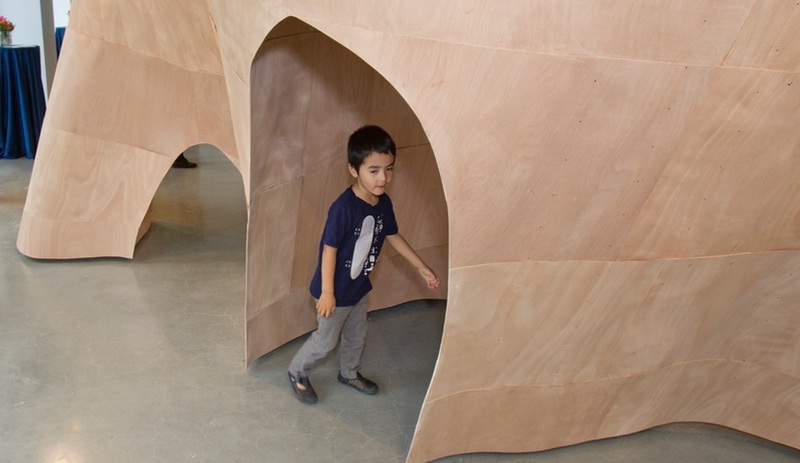 On now at the Boston Society of Architects' gallery space, the exhibition examines the use of installation as a tool for exploring new ideas in architecture. IK Studio's Step 7 introduces inhabitable space within the form of a single self-supporting wall. Once inside, visitors are met with a display of lights and sounds. 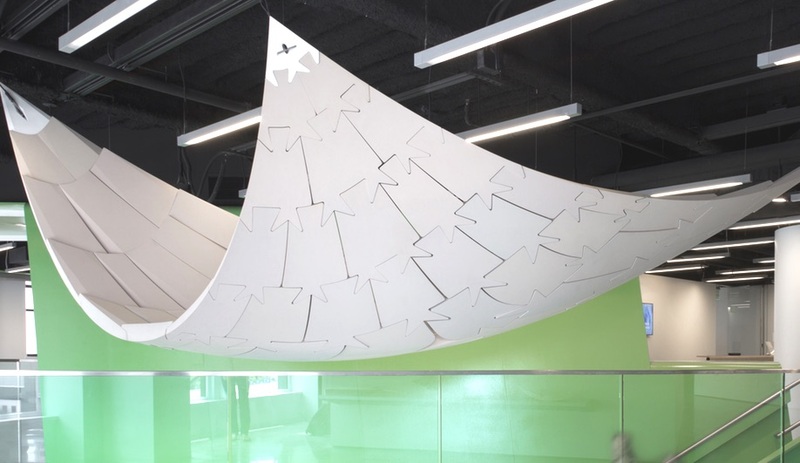 Comprising more than 4,400 triangles, The Pulp Canopy by MYKA hangs in the entrance lobby of the BSA Space. The triangles are formed from leftover toilet paper rolls collected from airports, which were pulped and reconstituted into a new material. 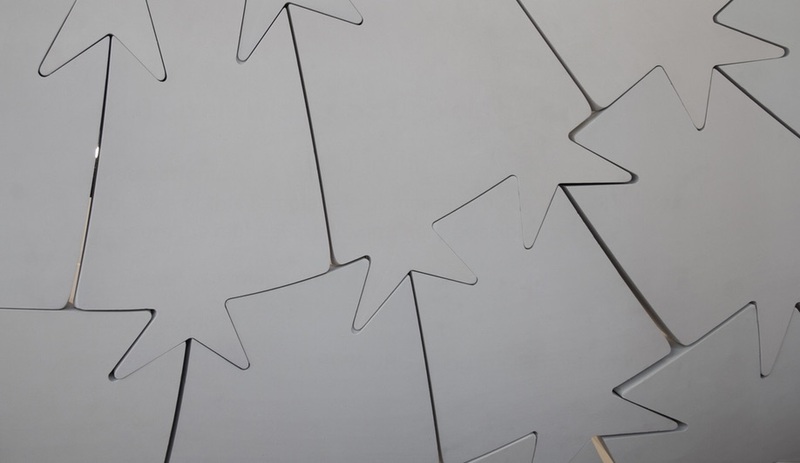 Matter's Microtherme installation was partially funded by SUTD and the IDC. 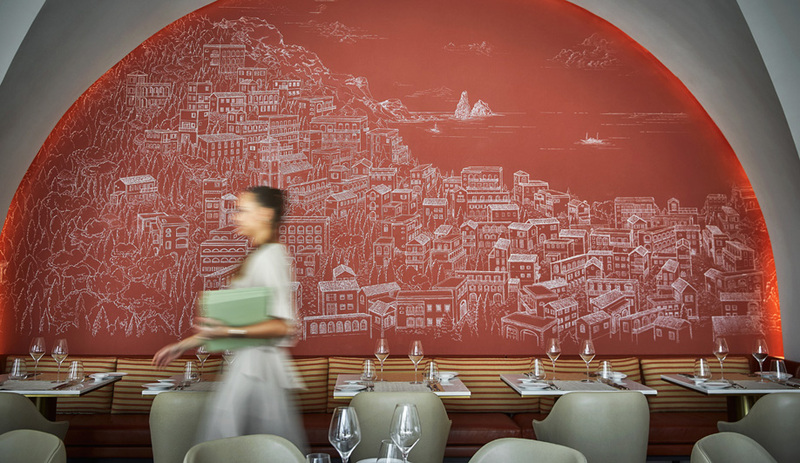 Microtherme creates tiny climates of warm and cold using copper piping embedded in fibre-reinforced concrete. 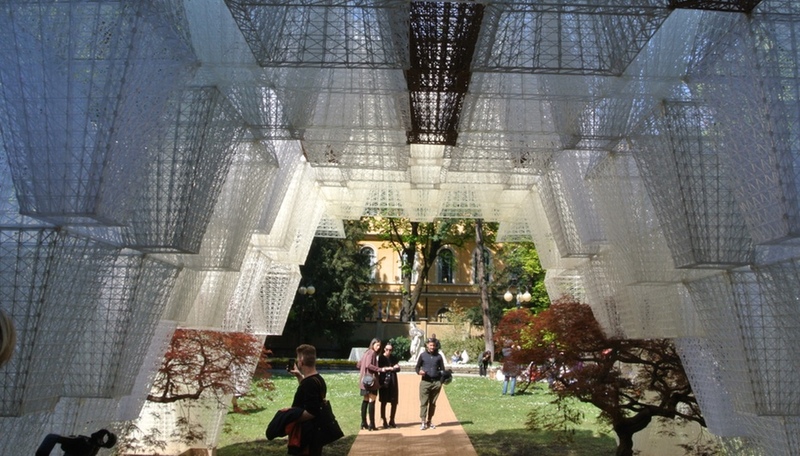 A suspended piece by NADAAA is assembled from CNC'd blocks of foam. Each of the blocks is unique, fitting with its neighbours like pieces of a jigsaw puzzle. The seemingly slack shape is actually rigid, with carefully calibrated curves like those of a vaulted ceiling. A display of artifacts and components taken from other architectural installations rounds out the exhibition. 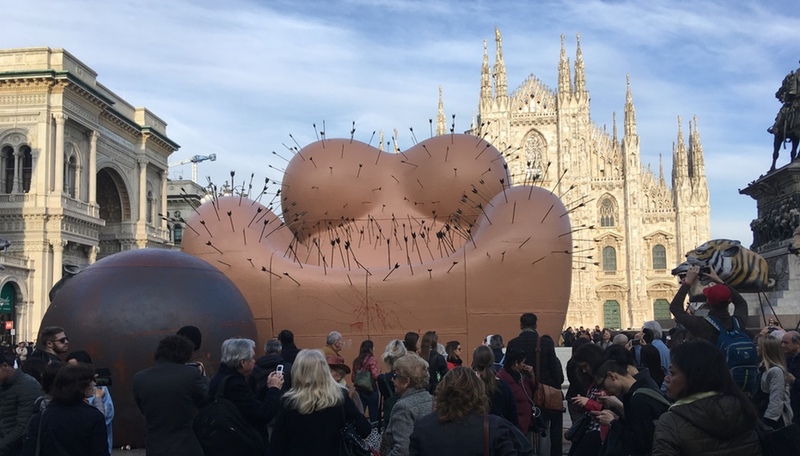 An exhibition by BSA Space highlights the unique role of installations to a studio’s growth, with site-specific works by IK Studio, NADAAA and others. 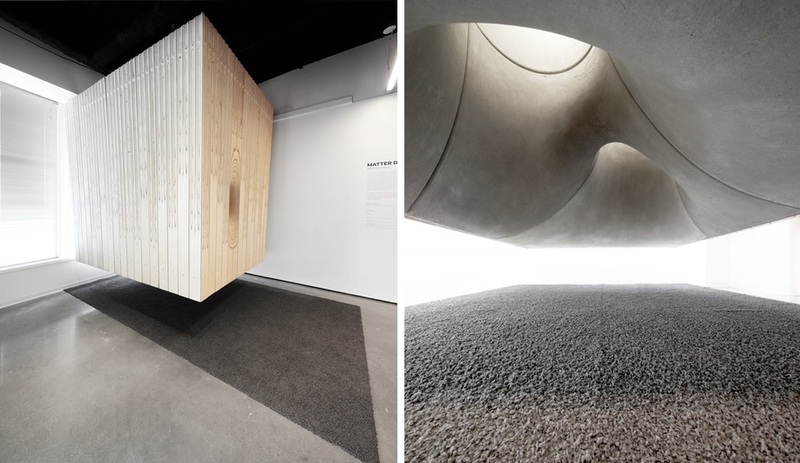 The current exhibition at BSA Space – the gallery area operated by the Boston Society of Architects – is aptly titled Bigger than a Breadbox, Smaller than a Building. It’s organized around four large-scale site-specific installations by a quartet of architecture studios experimenting with space-making. 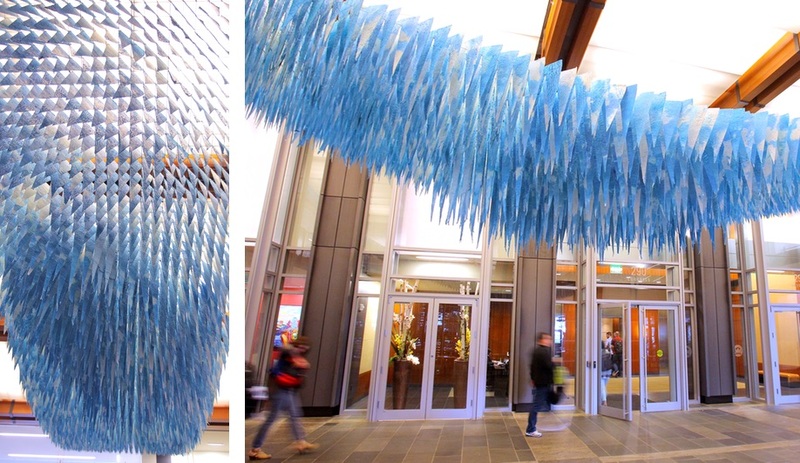 The first is a massive blue canopy suspended above the main entrance in the Atlantic Wharf lobby to greet visitors on arrival. 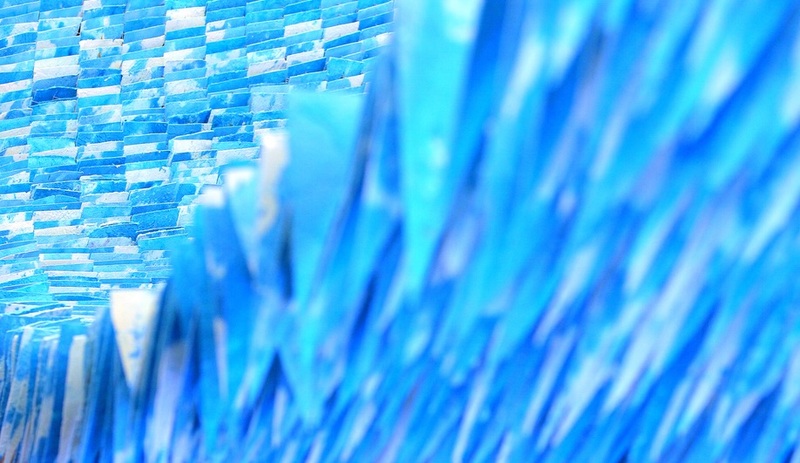 MYKA, the winner of an international call for submissions, created The Pulp Canopy with 800 remaindered rolls of toilet paper collected from airports; broken down and reconstructed by hand, the pulp board was then reorganized using digital tools into over 4,400 bright blue triangles that hang together like a glorious pennant. 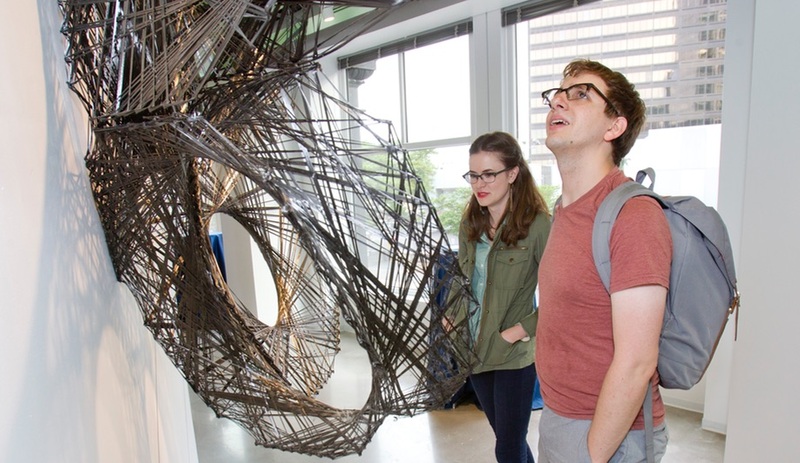 Three hand-picked Boston firms round out the major installations in the exhibit. 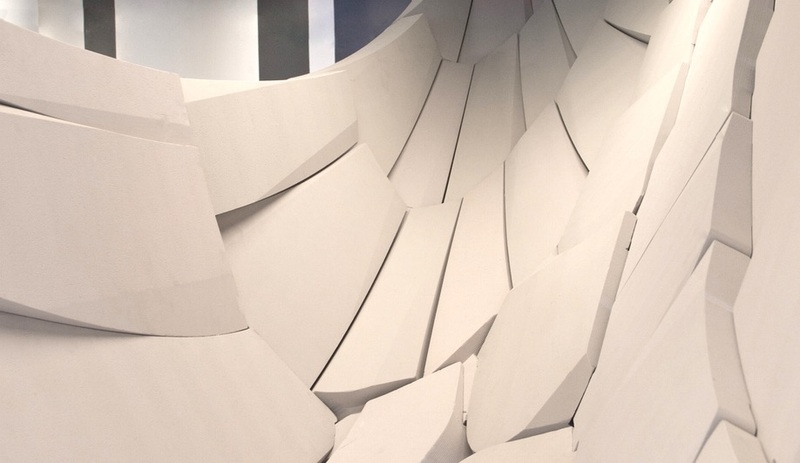 IK Studio contributes Step 7: Spatial Dissection, an iteration of architecture’s most basic element: the wall. 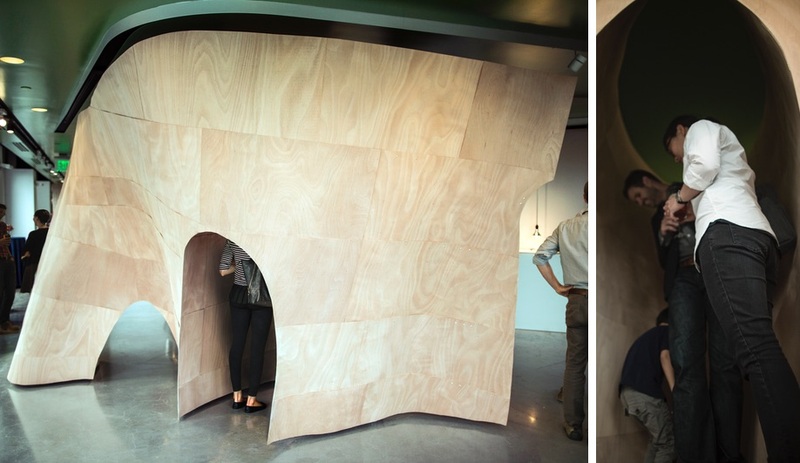 The curving, self-supporting wall of bent plywood panels hides a small alcove; guests are encouraged to enter the confessional-inspired nook, where they’re hit with bright lights and recorded speeches from some of modernism’s masters – Walter Gropius, Le Corbusier, and others. Microtherme, by Matter Design and the SUTD Advanced Architecture Laboratory, appears as a simple levitating shed, but hides an invisible secret. 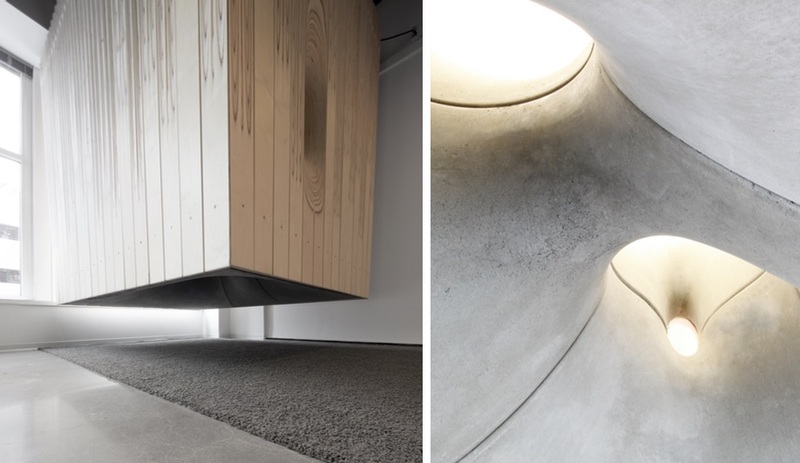 Inside the birch ply box, glimpsed through a porthole, is an undulating landscape of fibre-reinforced concrete on a substrate of EPS foam. Copper piping runs through the concrete to create warm and cool zones that mimic the experience of sitting by a warm fire on a cold night, or moving between the hot and cold pools of a Roman bath. Continuing their research into the vaulting properties of interlocking components, NADAAA presents Catenary Compression: the Tensile Vault, Reconsidered, a hammock-like form whose drooping appearance is only an illusion. 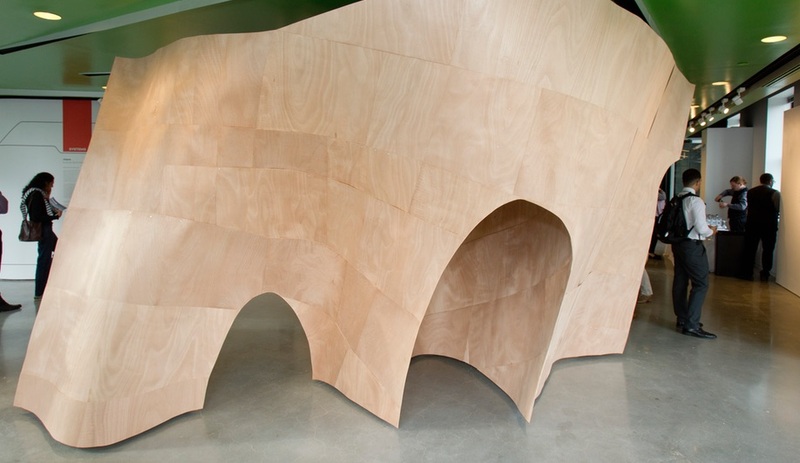 The curving shape is composed of dozens of blocks of rigid CNC’d foam that interlock like puzzle pieces, leaving just enough of a gap to reveal the discontinuity of material within the continuous form. Bigger than a Breadbox, Smaller than a Building runs until October 4th at BSA Space, 290 Congress Street, Boston, MA.